On 18 December, a mere 24 years after the parliamentary public accounts committee denounced the visitor facilities at one of the world's most famous ancient monuments as "a national disgrace", and 85 years after the idea was first mooted, a new £27m visitor centre will open at Stonehenge. For the first time there will be a museum-quality gallery interpreting the site and displaying original finds, as well as a cafe and shop. There was a distinct air of incredulity among many of the English Heritage staff, bruised and battered survivors of decades of debate, funding rows, public inquiries and planning consultations, sites identified and then abandoned, grandiose plans announced and promptly cancelled, landmark dates including the millennium and the Olympics missed, even as they stood in hard hats and hi-vis jackets in the shadow of the almost completed building. "We've looked at this building so many times as a computer drawing, it still feels a bit like being in a computer drawing now," the chief executive, Simon Thurley, said. On a grey morning the new building, to the west and out of sight of the stones, designed by the London office of the Australian firm Denton Corker Marshall, is elegant if very grey – "certainly not a Fred Flintstone imitation Stonehenge", Thurley said. An undulating lightweight roof is supported by 211 narrow steel columns, sheltering a glass box holding the cafe and shop, and a chestnut timber-covered box holding the displays. The exhibition will include a 360-degree projection based on minutely detailed laser scans of the stones, and original finds on loan from the museums at Salisbury and Devizes. The opening exhibition will include Bronze Age gold, among the greatest treasures of the Devizes museum. Visitors will buy tickets or, English Heritage hopes, book them online in advance, visit the exhibition explaining the site as well as the centuries of argument and excavation that have managed to comprehend it, and also a recreated Neolithic village – which, unlike the modern steel and glass, can't be built yet until the season is right for cutting thousands of hazel rods. The visitors will then clamber into a less gaudy cousin of those land trains that trundle along many seafronts, three small wagons towed by a Land Rover, and be driven the 1.5 miles to the stones along the old A344, which will be closed to all other traffic. The other end of the road has already been closed, and is being dug up and turfed over where it used to pass within yards of the edge of the stones. The vehicle will pause at the top of the hill giving the first sight of the monument, allowing anyone who wants to to walk the rest of the way, before dropping the others a short walk from the stones. There may be some disappointment that the romantic vision in artists' impressions of earlier attempts to resolve the site, with happy tourists strolling among the stones with sheep nibbling acres of unfenced turf downland, will not be realised. The stones will be still be fenced off – though Thurley promised "something much less aggressive" than the previous industrial chainlink – and visitors will still be barred from entering the circle, except on specially booked groups. "If we let millions of people in to trample the grass, in a confined space which still contains archaeological material, it would soon become a muddy quagmire," Thurley said. There will also be many vehicles trundling along the road. The site already gets almost a million visitors a year, and that is expected to rise. At peak times they hope to transport 850 people an hour, at 60 to each transporter. Thurley said the new building "sits very lightly in the landscape". "This is a completely reversible building – if it's ever necessary, it can all be taken up and taken away, leaving the site to revert to the chalk of Salisbury Plain." The mere thought of demolishing the building is enough to make his colleagues shudder. The centre is the third design, and the second by the present architects. Their original plan, part of an £87m project to be located east of the stones, was abandoned in 2007 when the government ditched the promise to bury the A303 road in a tunnel under the site, on cost grounds. Even the present, much more modest scheme was only rescued by the Heritage Lottery Fund when one of the first actions of the coalition government was to scrap a promised £10m grant. The A303, a main artery towards the south-west, still roars past the site, with traffic regularly slowing to a crawl where it narrows to two lanes. Thurley promised that the fight is not over. "This is definitively not it. The absolutely crucial thing is to close the A303, and English Heritage will continue to argue this with all its strength. It is absolutely imperative that the road goes, and the stones are returned to the tranquillity of the chalk downland in which it was built." Surprisingly, at the site there was some affection for the present huddle of huts. The people crouched against the misty chill over paper cups of tea included business travellers and dog walkers, used to stopping off in the free car park for a break, and a free if grim loo, with the stones as a spectacular backdrop. "Looks bloody expensive. How much is it going to cost?" one man snarled, squinting at the photograph of the new centre. His suspicions may be justified. The present car park and buildings will be bulldozed when the new centre opens, and although there will be free access to the smart new cafe, the car park will charge. The full admission price will not be announced until advance booking opens in early December, but it will be more than the present £8 adult ticket. "Whatever it costs, it will be very good value," the Stonehenge director, Loraine Knowles, said. 8500 to 7000BC: pits from timber posts mark the earliest human constructions on the site. 3100BC: a circle of earth banks and ditches is made. 2500 to 2300BC: rearrangements of huge sarsen stones from Salisbury plain, and smaller bluestones from the Preseli hills in Wales. An outer circle of uprights and lintels gives the monument its world-famous profile. 1968: a "temporary" visitor centre opens. 1986: Stonehenge is declared a Unesco world heritage site. 1989: the parliamentary public accounts committee condemns the visitor facilities and interpretation at Stonehenge as "a national disgrace". 1992: Edward Cullinan Architects wins a design competition for a new visitor centre on army land at Larkhill, north of the stones. 1995: a Highways Agency planning conference recommends a 2.5-mile bored tunnel to bury the A303 under the site. 1996: an £83m scheme is announced to restore a grassland setting for the stones and a new visitor centre – to open in time for the millennium. 2001: new plans are made for a £65m Australian-designed Denton Corker Marshall visitor centre, east of the stones at Countess roundabout. 2007: the Labour government scraps the £540m road tunnel under Stonehenge on cost grounds, and English Heritage scraps the visitor centre. 2008: Lord Bruce-Lockhart, chair of English Heritage, says "it is inconceivable that the inadequacies of the site should be allowed to continue any longer". 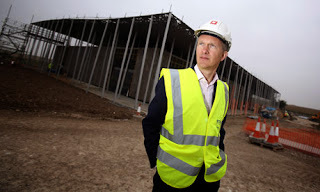 2010: a new £27m design by Denton Corker Marshall wins planning permission – to open in time for the 2012 London Olympics. June 2010: the coalition scraps a £10m grant for the new visitor centre. The Heritage Lottery Fund gives £10m. June 2013: the A344 closes where it passes within yards of the stones. The new collection of photographs called A Year at Stonehenge is well worth a closer look than you might at first think: no, you have not seen enough photos of Stonehenge yet. 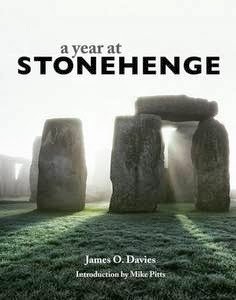 famous monuments in the world from Stonehenge archaeologist Mike Pitts, with the finely detailed architectural photographs of James O. Davies. The combination is a vivid reminder of the physical peculiarities of a monument so much of us think we already know. The thousands of people attending the summer solstice at Stonehenge this year – and for the past 13 years – might have got it completely wrong, for experts have revealed that the ancient monument just happens to align with the solstice sunrise. Instead, the stones were built to align with an Ice Age landform, a series of naturally occurring fissures cut into ridges in the landscape – and it’s pure coincidence these align with the midwinter sunset in the south west and the midsummer sunrise in the north east. That is the latest expert view from a lengthy project to discover as much as possible about Stonehenge, led by Professor Mike Parker Pearson, who has had the first chance in more than a century to have a dig around under the A344, one of the two major A-roads that surround the stones. The road was closed earlier this year, and will ultimately be grassed over, but its Tarmac ran over the path of The Avenue, the ancient pathway that once led to the stones from a nearby river and places where Stonehenge’s users are thought to have lived. When they dug up the road, they discovered The Avenue is half-natural. “This natural landform happens to be on the solstice axis, which brings heaven and earth into one,” said Prof Parker Pearson. 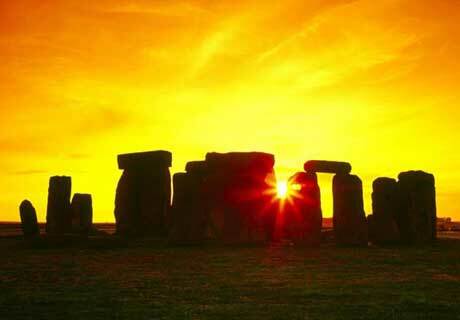 “So the reason that Stonehenge is all about the solstices, we think, is because they actually saw this in the land. “It’s hugely significant because it tells us a lot about why Stonehenge was located where it is and why they were so interested in the solstices. It’s not to do with worshipping the sun, some kind of calendar or astronomical observatory; it’s about how this place was special to prehistoric people,” he said. As well as being allowed to scrape away the layers of history under the newly-closed road, the dry and hot summer of 2013 has also helped to yield new information – thanks to a short hose. English Heritage keep the grass around the stones well-watered to maintain the lush greenery, but the hose doesn’t reach one corner where the grass turned brown like much of the West this summer. In the brown patch, two members of staff spotted discoloured areas of grass – or parchmarks – which are the tell-tale sign that mighty stones once stood there. That means experts are now convinced – even though the presence of stones there once was not picked up on the high-tech surveying equipment over the years – that the outer sarsen circle would have been a complete circle. Local legend had Stonehenge built by Merlin, who brought the bluestones from Wales. For many years, it was assumed the stones’ alignment with the sunrise on the summer solstice meant its purpose was for sun worship. More practically, a follow-up theory had Stonehenge built as a huge and elaborate astronomical clock. One book claimed it was the landing marker for aliens. 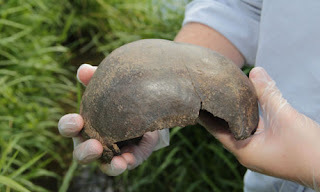 Neolithic skull fragment discovered on banks of Avon from around the time Stonehenge was built. Archaeologists say 'exceptional' find by dog walker near Pershore, Worcestershire, raises more questions than answers. Part of a 5,000-year-old skull found on the banks of the Avon. was unlikely to be where it was buried. A 5,000-year-old mystery has been sparked after part of a human skull was found on a riverbank. Archaeologists said the unbroken piece of upper skull was in "fabulous" condition with the intricate marks from the blood vessels still visible on the inner surface. There are suggestions it may have belonged to a middle-aged woman from the neolithic period – around the time Stonehenge was built. The skull is also prompting questions about where it may have come from. A dog walker stumbled across the fragment, which measures 15cm by 10cm (6in by 4in), this year but initially thought it was part of a ball or a coconut shell. The next day he returned to the site on the banks of the Avon near Pershore, Worcestershire, for a closer look and, realising what it was, called police. West Mercia police contacted experts at Worcestershire Archaeology, who sent the skull to be radiocarbon dated. "When I first saw the skull, I thought it may have been Anglo-Saxon or Roman but I knew that it was not recent due to the colour," said Nick Daffern, senior archaeologist. "But we were all surprised when the radiocarbon dating put it at between 3,338 BC and 3,035 BC, or about the middle neolithic period. "It is so well preserved, it is unthinkable that this had been in the river for any length of time which begs the question as to where it has come from. "We know of Roman, Saxon and medieval burials along the river, but this is very rare – it is an exceptional find. " He added: "I don't think it was found where the remains were buried. I think we've got a riverside burial and then flooding has brought this down the river. Finding that burial site though would be like finding a needle in a haystack." Daffern said that without the rest of the skeleton it was difficult to draw conclusions about the person found, and certainly there is no clue as to how they met their death. "Myself and a forensic anthropologist believe it is a woman due to the slightness of the skull and the lack of any brow ridges although our conclusions are very tentative because we're dealing only with the top of a skull," he said. "There's no trauma to the bone, and where it has broken those are natural breaks, nor is there any sign of disease so we've no idea as to cause of death. "The natural fusion of the bone in the skull leads me to believe it may be an older woman, possibly in her 50s, but that is very tentative again. Unfortunately, it remains a bit of a mystery." The find is a few miles from Bredon hill, which has been a scene of human activity down the ages and still boasts the earthen ramparts of an iron age hill fort. However, finds of neolithic remains are rare. "Whenever we come across neolithic remains, there seems to be a solid dividing line between where they buried their dead and where they lived, and that is no accident," he said. "But it is frustrating as an archaeologist because although we have the physical evidence, we still don't have the answers as to why." The skull is only the second set of neolithic remains to be found in the county, although two large 6,000-year-old "halls of the dead" were found in nearby Herefordshire this year but without any human remains present.